Advanced drug-delivery systems, novel medicines, and other innovations are set to increase treatment options and improve outcomes for patients with this difficult-to-treat cancer. Never has there been a greater need for new ways to treat liver cancer. Few effective therapies are available to patients today, and this is particularly true for hepatocellular carcinoma (HCC) – the most common type of primary liver cancer, affecting around 4,200 people in the UK every year. Patients with early disease may be offered surgery, transplantation or ablation (the destruction of cancer cells via probes that generate very high or low temperatures). And around 70 per cent live five or more years after diagnosis. But, for those with advanced disease, the choice is often limited to chemotherapy with the drug sorafenib, which according to the latest findings, by researchers of the University of North Carolina at Chapel Hill, US, prolongs life by only three months. It is also worth noting that, in their 2016 draft guidance, the National Institute for Health and Care Excellence (NICE) does not recommend the drug. So, what’s next for liver cancer patients? The end of 2016 has seen the first commercial launch in the world of a novel drug-delivery system for advanced HCC. Named DC Bead LUMI, the system was launched in Canada. It consists of microscopic beads that can be uploaded with the anticancer drug doxorubicin and injected into the blood vessels that feed the tumour, via a minimally invasive procedure called trans-arterial chemoembolization (TACE). Once inside the vessels, the beads release doxorubicin in a controlled manner, right where needed, and also block the blood supply to the tumour. What’s more, unlike in previous models, the beads can easily be seen with X-rays, enabling for the first time to appreciate bead position and drug flow, and make adjustments as needed. This “allows for the personalization of liver cancer treatment like never before, providing the vision, precision and assurance that the treatment is getting where it needs to be,” says in a statement Frank Maiorino, director of marketing at BTG International Canada Inc., which developed DC Bead LUMI. The system could help improve treatment for patients with inoperable liver cancer. Patients who cannot have surgery could also be one step away from being able to use new drugs. These include the protein tyrosine kinase inhibitor regorafenib, which works by blocking tumour growth, and is being considered for marketing authorisation (in the US, Europe and Japan) for the treatment of inoperable HCC that has progressed after sorafenib. Results from the RESORCE study, presented at the 2016 European Society of Medical Oncology (ESMO) congress, show that regorafenib is associated with a median overall survival of 10.6 months, compared with 7.8 months for placebo. Another novel targeted therapy for HCC when sorafenib fails is cabozantinib. This works in a similar way to regorafenib, and is only available through participation in clinical trials. One of these trials is being carried out in the UK, by University College London researchers led by Dr. Tim Meyer. It will be recruiting patients until the end of June 2017. A 2017 review of the available data on regorafenib, cabozantinib and other novel compounds, including the immunotherapy drug nivolumab, concluded that these are “promising agents for HCC after sorafenib failure,” and are very important, for there is currently no therapy for patients at this disease stage. Another promising agent is the experimental virus JX-954, currently being investigated, within a clinical trial, by an American team of the University of Tennessee Medical Center. JX-954 is a genetically engineered version of the virus that was used to eradicate smallpox. It is injected in the liver, where it replicates in cancer cells, causing the immune system to attack them. In an earlier study, published in Nature Medicine, the average survival of late stage HCC patients who received three doses of JX-954 over four weeks was nine months. 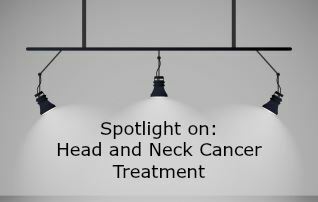 Exciting results have been announced also for the nanoparticle NBTXR3 – an advanced type of radiotherapy. The nanoparticle is designed for direct injection in the tumour, 24 hours before radiotherapy. It absorbs and magnifies the radiation dose within cancer cells, making tumour shrinkage more effective and minimising damage to healthy tissues. For cases whose chance of a cure depends on a liver transplant, researchers from Cornell University, New York, have developed a blood test that, in one study, accurately predicted which patients were likely to stay tumour free after the operation. The test does so by measuring the levels of substances, called biological biomarkers, which are associated with increased recurrence risk. Current methods for assessing suitability for liver transplant don’t include measures of such biological markers. Since tumour recurrence risk is a key criterion for transplantation, the new blood test could result in significantly more patients benefiting from such treatment option.